This is a blog about adventures isn’t it? Well, yes it is but adventures don’t need to be confined to running around outdoors. Much as I love to get outside as much as I can I also like to embrace my domestic side at times. 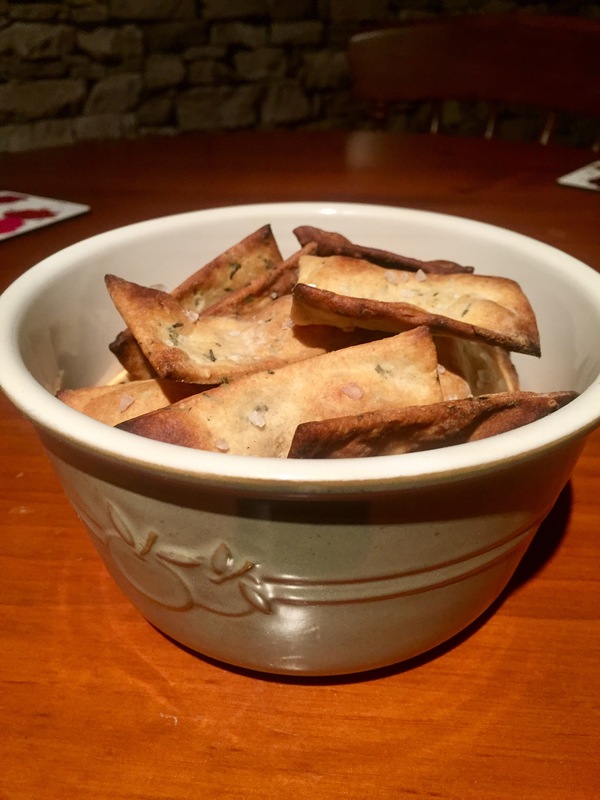 These crackers are perfect for dipping, eating with cheese or soup or just munching on their own! Want to impress your friends when they pop over at Christmas? Pop a bowl of these on the table for them to munch on – and don’t forget to tell them you made them yourself. I am certainly no Delia Smith or Mary Berry but I do love to cook and bake. Sometimes following a recipe but often just making it up as I go along. In a bid to make my Christmas presents a little more personal this year I decided to get a little creative in the kitchen. Weeks ago I got my pickles and chutneys made (they have to sit in the jars for at least six weeks before they reach optimum flavour) but wanted to find a few other additions to Christmas hampers. This recipe takes minutes to make and not much longer to cook. If you only have half an hour spare these are great for you. Ingredients are guidelines to me. I have learnt not to panic if I don’t have the exact items listed, you can usually use an alternative. A quick internet search will always throw up other options. It’s true that you can’t just go substituting raisins for sausages (I have no idea why I thought of that as an example!) but mostly there are options. Preheat your oven to 230 degrees Celsius and get ready a baking sheet covered with a piece of baking/grease proof paper. Sieve the flour into a large bowl, or a food processer if you have one, and add the herbs, salt, sugar, pepper and olive oil. I don’t have a food processor so I just mix the ingredients together by hand. There is not enough moisture, at this point, to mix everything smoothly together. You are simply trying to get an even spread of the ingredients. Now you can add the water and mix until the dough starts to stick together. This will only take seconds in a food processor and maybe a minute by hand. Last time I made this I only used one hand to mix. Keeping the other hand clean for checking the recipe on my phone! It is a pretty messy process until the mixture binds. I found it easiest to cut the dough ball into three or four pieces at this point. Making it easier to roll out as thin as you need it to be. Flour your work surface or a large chopping board (you will be using a sharp knife to cut the pieces so bear this in mind) ready to roll the mixture out. Take one of the chunks of dough and roll it flat. You really want the pieces to be very thin. 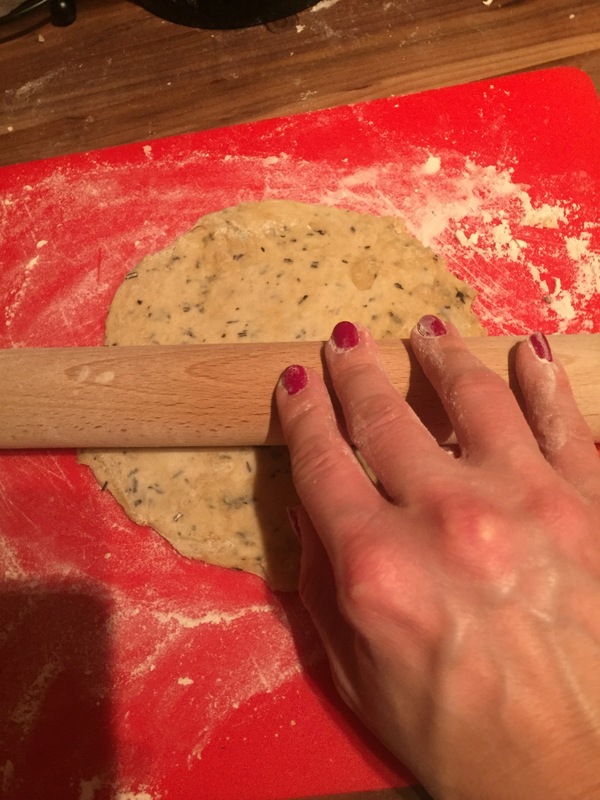 Once you have rolled the dough out, use a sharp knife to cut it into square(ish) pieces. If you are using the crackers for cheese you will want them larger than if they are just for snacking on. Place each piece on the baking paper and get your first batch in the oven. Pop your timer on for 4-5 minutes and get on with rolling your next chunk of dough. It’s easy to get one batch ready whilst the previous batch are baking. Once the timer goes off turn the crackers over and bake them for another 4-5 minutes. Keep an eye on them for the last couple of minutes, so they don’t start to burn. 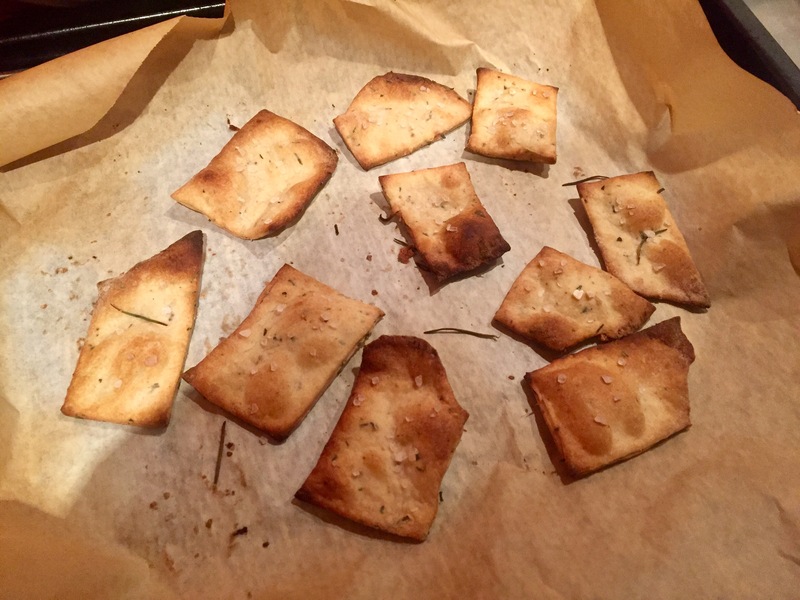 Hey presto, your first crackers are ready! Don’t burn your mouth tasting them before they are cooled. It will take a few minutes before the crackers crisp up completely. Repeat the process with the rest of the dough and you will have a dish of yummy snacks in no time. I will be giving bags of these as part of my homemade gifts at Christmas. It has been fun practising and munching on the results. These crackers would also be great to make with young children. They get to get their fingers sticky and get quick results! 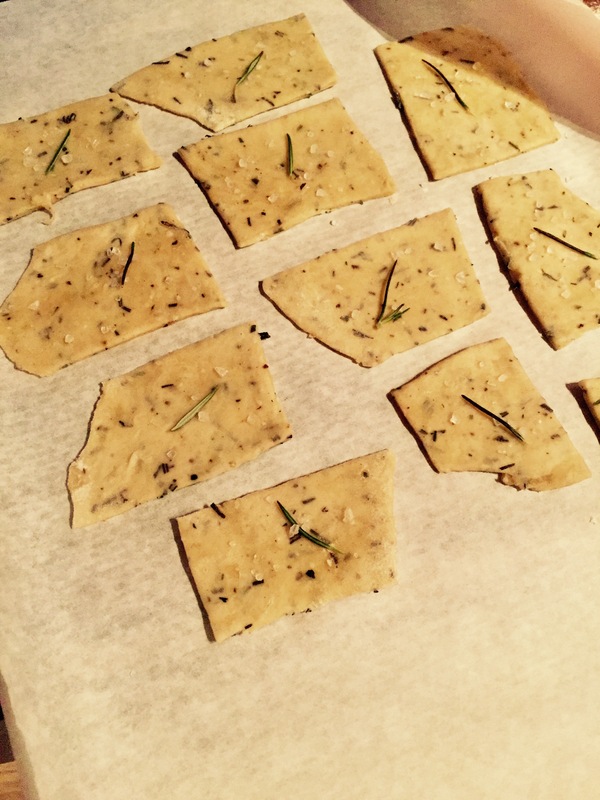 Do let me know if you give this homemade crunchy flatbread cracker recipe a try. I would love to hear if you enjoy them as much as I do!